Background: Various efforts have been made to improve utilization of neglected and under-utilized legumes at home, cottage and industrial levels, however, utilization is still low. Objective: To identify the major constraints to the utilization of some under-utilized legumes (soybean, lima-bean, pigeon-pea, kidney-bean and bambara groundnut). Methods: Structured and semi-structure questionnaire were used to assess information from students of Institute of Agricultural Research and Training, Obafemi Awolowo University, Nigeria. Data was analyzed using descriptive statistics. Pearson Chi square was used to test the hypotheses. Results: Soybean stands out among the studied under-utilized legumes in terms of knowledge and perception among respondents. More than half of the respondents (54.6%) had heard of or read about soybean while only 2% had heard of or read about lima bean; 52.6% had seen soybean while 2.6% had seen lima bean; 49.3% had soybean in their present food timetable while none of the respondents (0%) had lima bean in their present food time table. Knowledge of the underutilized legumes followed the order, soybean> pigeon pea>kidney bean>bambara groundnut>lima bean. Pearson Chi square analyses revealed that non recognition and lack of information on the under-utilized legumes affected utilization, but hard to cook nature of the under-utilized legumes did not affect their utilization. The constraints to the utilization of the studied under-utilized legumes are non-recognition and lack of information. 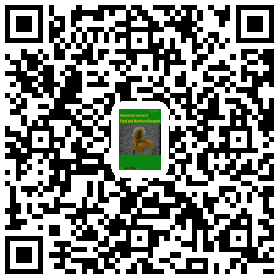 Conclusion: Nutrition education programs and seminar should be designed and implemented to raise the level of knowledge on nutrition and health benefit of the underutilized legumes.